Dr. Mary Ann Kenneson, M.D. Dr. Mary Ann Kenneson is one of the leading experts in urology in Northeast Florida. She brings her innovation, surgical expertise and compassion for helping people to Florida’s medical community. A Jacksonville native, Dr. Kenneson embarked upon her medical career after graduating from the University of Florida with a master’s degree in nursing. While working as a nurse practitioner, she was accepted into and graduated with honors from medical school at the University of Kentucky. Dr. Kenneson completed her surgical residency training at the Ohio State University, spending an additional year on staff concentrating her focus on robotic surgery. Dr. Kenneson’s devotion to aid the medically underserved included working with a local health department and homeless shelter in Lexington. During her residency training, she participated with a volunteer medical group traveling to Haiti to perform much needed medical and surgical aid. Dr. Kenneson is strongly devoted to her family and enjoys softball, fishing, biking and the Florida Gators. 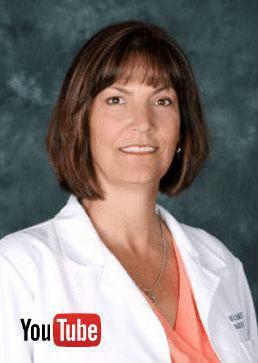 Dianne Larson currently serves as a Board-Certified Women’s Health Nurse Practitioner for Bluewater Urology Associates. Mrs. Larson has practiced for more than 12 years and has served as a pharmaceutical company consultant and medical liaison. Mrs. Larson has created and managed educational initiatives for nurse practitioners and physician’s assistants and spearheaded healthcare provider medical education. Her passion in life is to encourage others to recognize the value and dignity in each and every person. She dedicates her free time to her church and organizations that are change-agents for human rights, serving on the board of various organizations, and most recently serving as President of ERAnow.US. Mrs. Larson lives in Jacksonville with her husband and family. She is an avid Minnesota Vikings and Florida Gators fan and loves to visit Hawaii. Doris Bluett is a certified nursing assistant with areas of specialty in home health, medical surgery, oncology and urology. Prior to joining Bluewater Urology Associates, Ms. Bluett served for seven years at Orange Park Medical Center. Working in the healthcare industry has always been an inspiration, and career goal, for Ms. Bluett. The passion for providing care runs in her family. Her mother, to whom she credits peaking her interest in the field, worked as a home health care provider and Ms. Bluett is proud to share in serving others. She continues to advance in the medical industry, ever learning. Ms. Bluett is a Philadelphia native but considers Florida home. She enjoys sewing, cheering on her favorite hockey team and spending time with family and friends. Christine Fletcher has more than ten years of providing patient care services in specialty medicine. Prior to joining Bluewater Urology Associates in 2012 as the office manager and new patient coordinator, Mrs. Fletcher worked in pediatric and family medicine for six years. She began her healthcare career as a nursing student in upstate New York. In 1991, she moved to Jacksonville to work as a medical assistant in plastic surgery at Memorial Hospital. With a background in running marathons, Mrs. Fletcher brings her drive and diligence to serving patients and fellow staff daily. Shika Smith, Referral Coordinator; M.A. Shika Smith currently serves as the referral coordinator for Bluewater Urology Associates. Mrs. Smith she has worn many hats throughout her healthcare career. Mrs. Smith is a medical assistant at Bluewater Urology Associates and began working in the urologic field before graduating in 2005. With ten years in this specialty, she brings a plethora of knowledge and experience to the team, both clinically and administratively. Mrs. Smith is drawn to continually providing care to patients and to help diagnose treatable cancers and diseases. In her free time, she enjoys supporting her children’s sports teams and spending time with her husband. Rachael Kenneson joined the Bluewater Urology Associates team in the spring of 2015 as the patient care liaison and lab department coordinator. Ms. Kenneson’s passion for helping others includes recently serving in the Dominican Republic to help with childhood development. She is currently studying Health Administration and seeks to apply the skills she is learning to the clinical setting daily. Given the sensitivity surrounding visits to Bluewater Urology Associates, Ms. Kenneson strives to ensure that all of their patients feel comfortable and at ease every time they enter the office by putting a smile on their face and making them feel valued and important.